Sunice has engineered its Ryder Jacket for pure comfort, performance and weather protection. This jacket features a StretchTech 2.0 fabric that's laminated on the back and DWR-impregnated on the front for full, impervious weatherproofing. The fabric is also built for superior tear resistance and smooth movement. 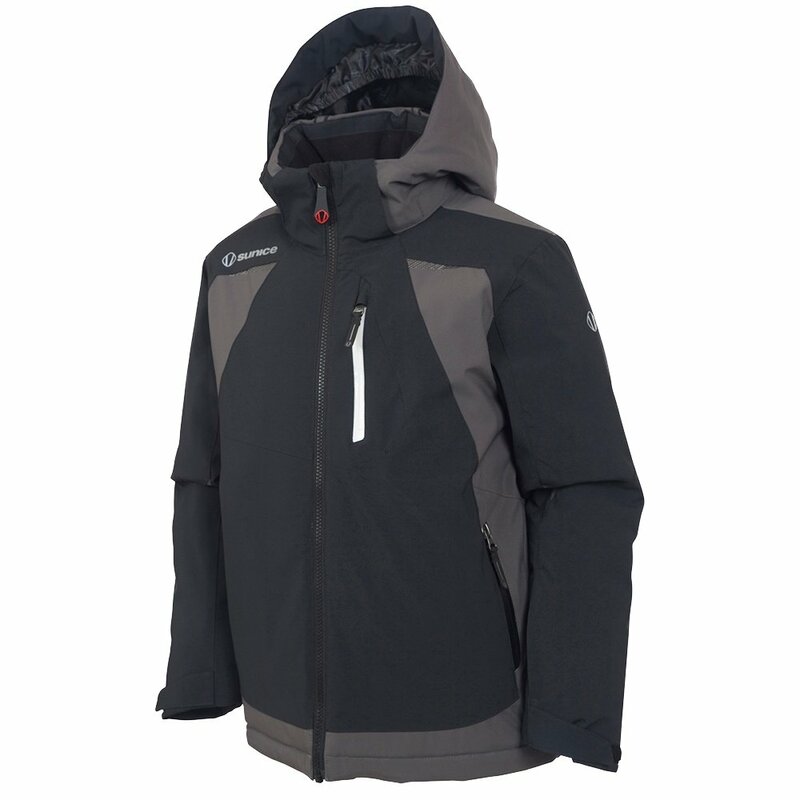 Critically sealed seams stitch the jacket together, and features like a powder skirt and detachable hood provide added protection. An interior pocket layout provides purpose-built space for an MP3 and goggles, while a lens cleaner and ski pass ring add user-friendliness on ski days. "is this blue and navy blue trim or black trim?" "The color "Intense Blue' is lined with a dark blue color. We hope this information helps!"